The prestigious 2015 HIA GreenSmart Home award was presented today to Kenick Constructions for their North Queensland display home. 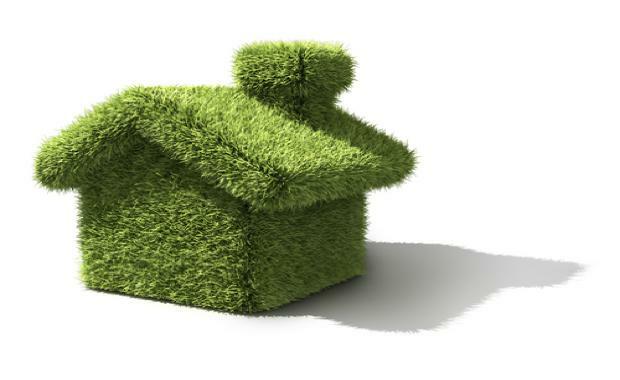 The award is the highest accolade at the Housing Industry Association (HIA) Australian GreenSmart Awards. HIA GreenSmart Awards recognise the best in environmentally-responsible housing. Kenick Constructions went on to win a total of three awards, including the 2015 HIA GreenSmart Home and GreenSmart Display Home for 'The Kai'. "Kenick Constructions demonstrated dedication to all GreenSmart principles, with attention to detail in their treatment of water, energy and resource efficiency and air quality objectives," the judge commented. A 9-star energy rating was achieved whilst delivering a cost-effective home that is extremely family-friendly and comfortable to live in. GreenSmart Display Home is partnered by CSR. Kenick Constuctions' Rachel Whymark won GreenSmart Professional for demonstrating great knowledge and experience in sustainable housing. In 2011 Rachel obtained her GreenSmart Professional accreditation, enabling her to be more confident in promoting ecological building practices. This award is partnered by CSR. Right Homes from Western Australia won GreenSmart Project Home, partnered by Austral Bricks. The 9-star energy rated home maximises the solar orientation of the block, uses natural ventilation and thermal mass for year-round comfort. Right Homes also won GreenSmart Water Efficiency, partnered by Stratco Australia. A combination of rainwater collection and Greywater system reduces the reliance on precious drinking water throughout the home. With 6-star fittings and fixtures, the decrease in water use will save money for years to come. Beach House Constructions from Victoria won GreenSmart Custom Built Home for a compact home with passive solar heating and renewable energy. The waste management system includes a worm farm to process all organic waste. This award is partnered by Stratco Australia. Reliabuilt and Jefferson Godfrey Architects from the ACT & Southern NSW won GreenSmart Renovation/Addition Project for a renovated duplex, demonstrating how an older home can be transformed into a comfortable living space using a skilful designer and environmentally-aware builder. Paterson Builders from Hunter won GreenSmart Energy Efficiency, partnered by Origin Energy. The compact pavilion style residence sits lightly on the site, in complete harmony with its surrounds. Insulated roof panels, uPVC double glazed windows and an insulated timber floor have been used to give greater thermal efficiency. Killarney Homes of the Northern Territory won GreenSmart Townhouse/Villa Development for a highly efficient and affordable 7.5 Star townhouse development, praised for its sustainable building practices and a superb end result. This award is partnered by Austral Bricks. Lightbridge by Viridian won GreenSmart Product for their range of high performance insulating glass units developed specifically for the residential building industry. The double glazed window units use low-e glass and inert gas-fill, and offer exceptional insulation. This award is partnered by HIA Insurance Services. In congratulating the winners, HIA Acting Managing Director Graham Wolfe said the HIA GreenSmart Awards are at the forefront of sustainable building practices, showcasing the latest techniques and products. “Consumer demand for new materials and technologies, and for minimal environmental impact in residential housing, is ever growing. The GreenSmart program demonstrations HIA’s commitment to environmental construction and design, with the GreenSmart Awards showcasing those builders and designers leading the way,” Mr Wolfe said.